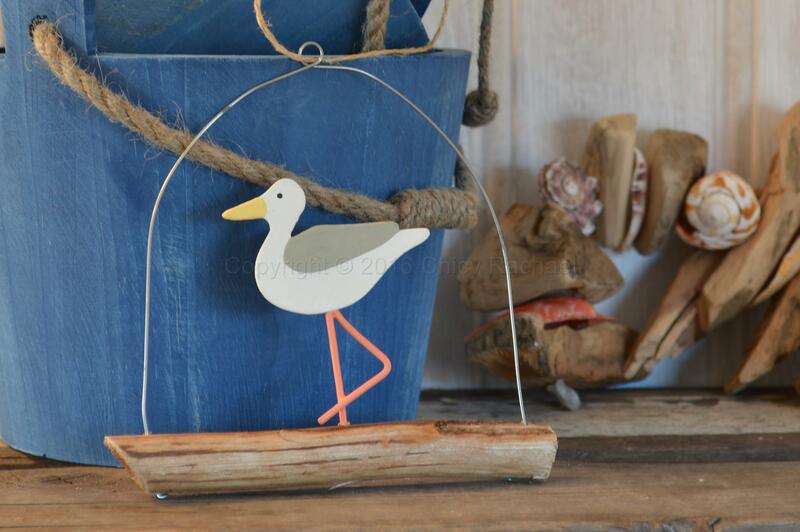 A cute painted metal seagull stood on a piece of driftwood, with a jute string for hanging. 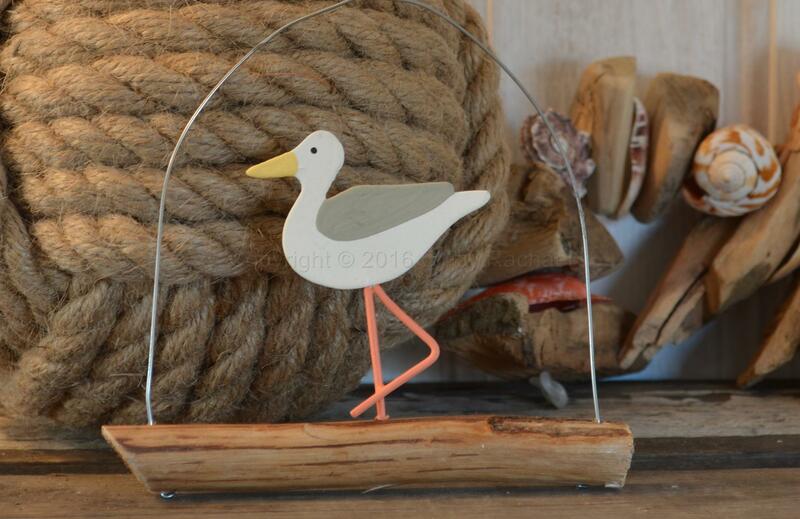 A lovely hanging decoration that would make a great addition to a nautical/beach themed room. A great gift to remind you of time spent at the sea side, this seagull wont steal your icecream.!! Due to the nature of this product the picture is a guideline of what you will receive.